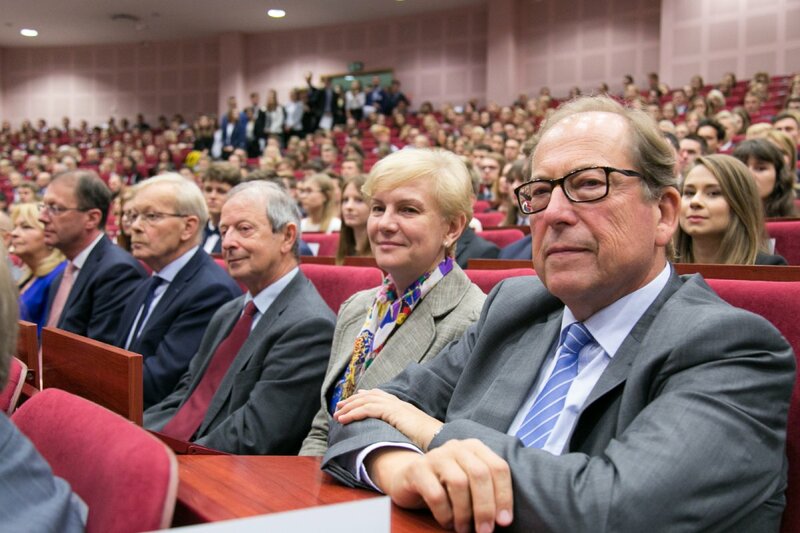 The Inauguration of the New Academic Year 2017/2018 took place on the 3rd of October 2017 in the prof. Janusz Piekarczyk Hall of the Didactic Center. 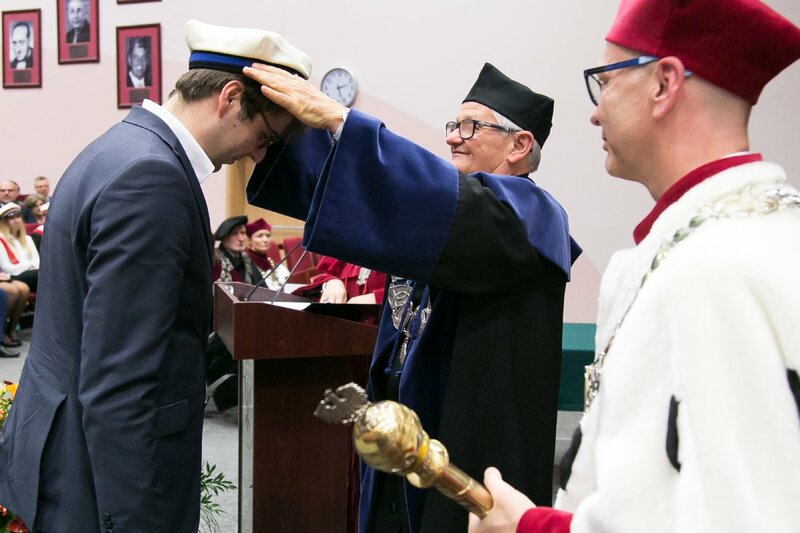 It was the matriculation ceremony for incoming students and doctoral students and an opportunity to recognize exceptional academic staff. 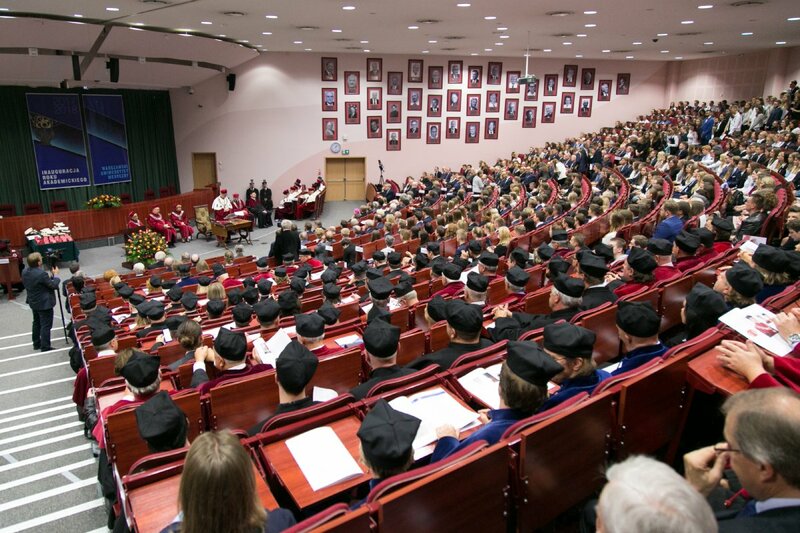 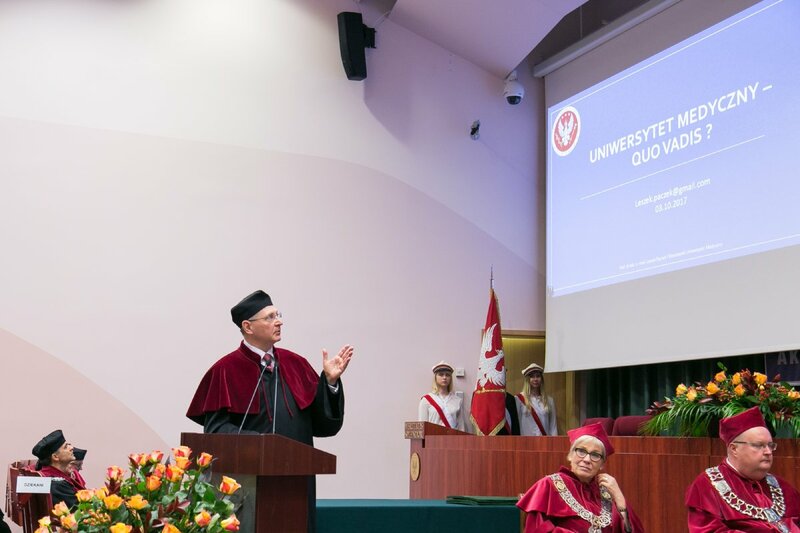 At the invitation of Prof. Mirosław Wielgoś, Rector of MUW, prof. Leszek Pączek, Rector of MUW, 2005-2008, gave the inaugural lecture entitled “University of Medicine – quo vadis?”. 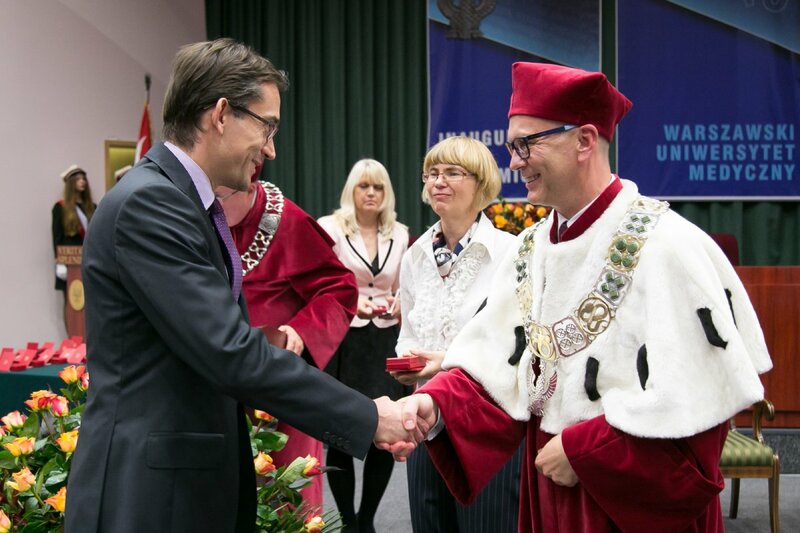 The following honorable guests joined MUW’s academic community to celebrate the most important ceremony of the academic year: Mr. Marek Tombarkiewicz, Under Secretary of State at the Ministry of Health; Mr. Tomasz Matynia, Head of the Political Cabinet at the Ministry of Health; Prof. Łukasz Szumowski, Under Secretary of State at the Ministry of Science and Higher Education; Mr. Zbigniew Niewójt, Main Pharmaceutical Inspector; Mr. Marek Posobkiewicz, Main Sanitary Inspector. 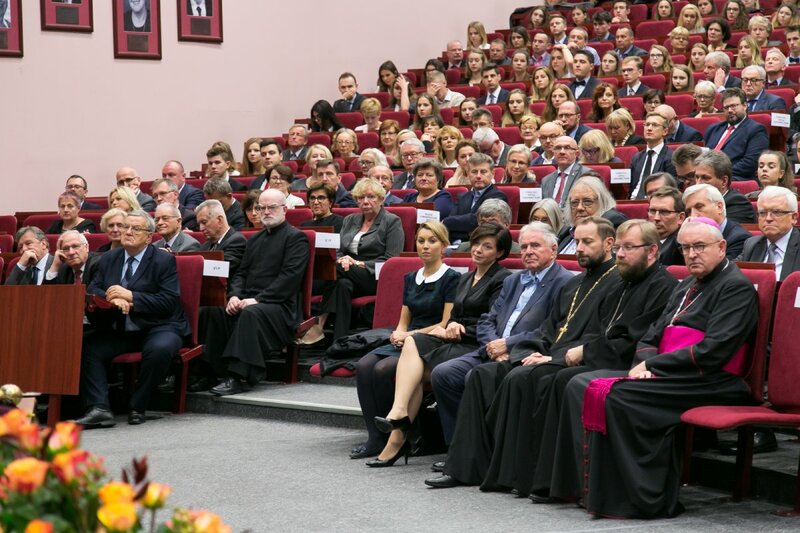 Amongst the representatives of religion were: Bishop Piotr Jarecki of the Warsaw Diocese; Fr. 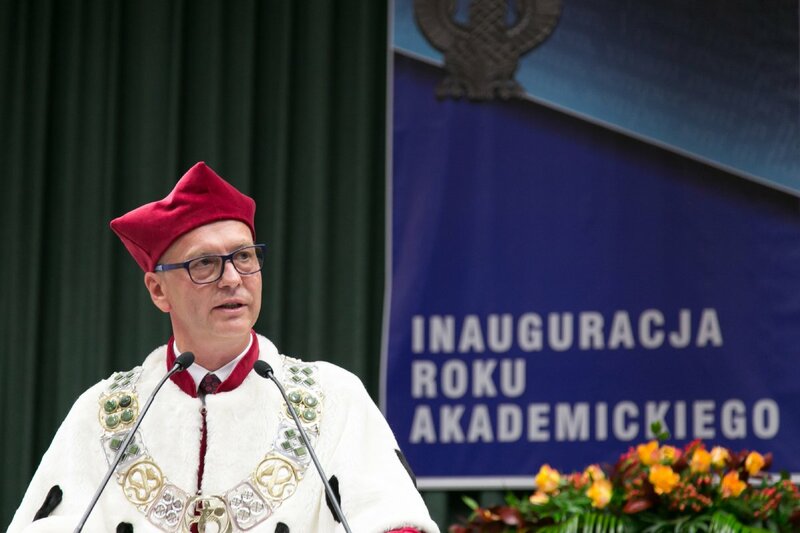 Doroteusz Sawicki, PhD and Fr. 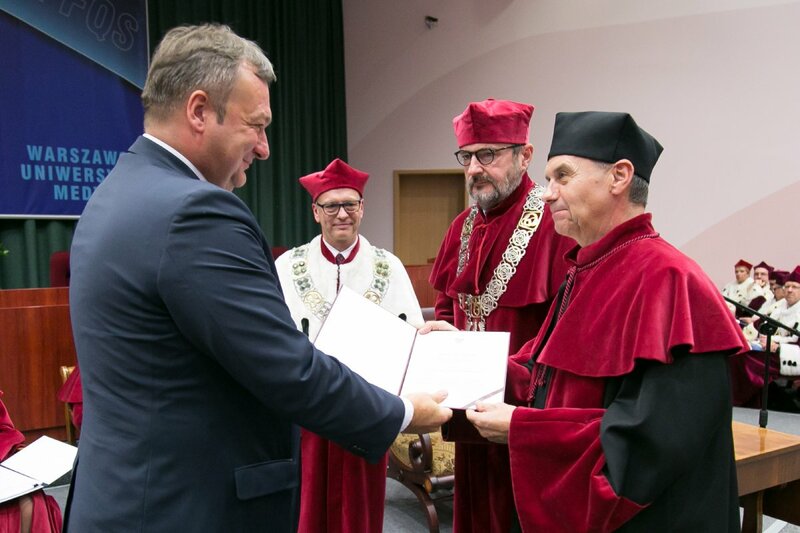 Andrzej Baczyński, PhD from the Orthodox Church of St. Magdalena; parish priest Fr. 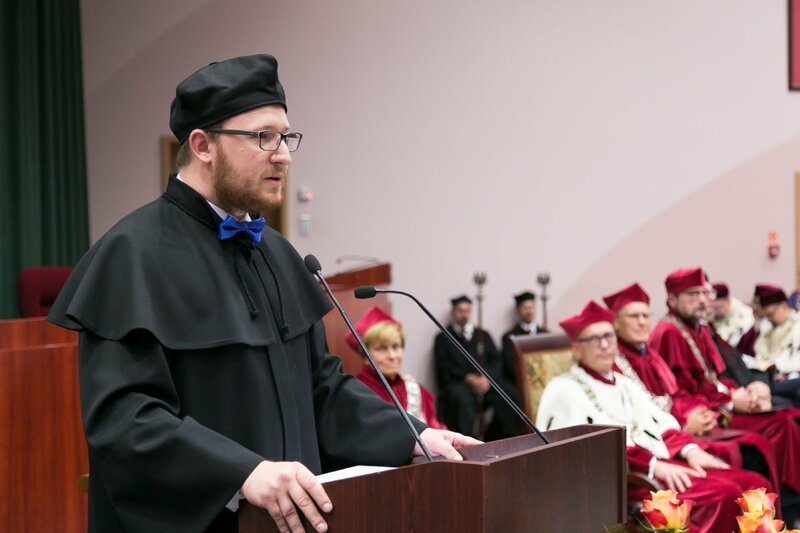 Paweł Gwiazda, PhD from the Catholic Church of Divine Providence in Warsaw; and Rabbi Michael Schudrich, Chief Rabbi of Poland. 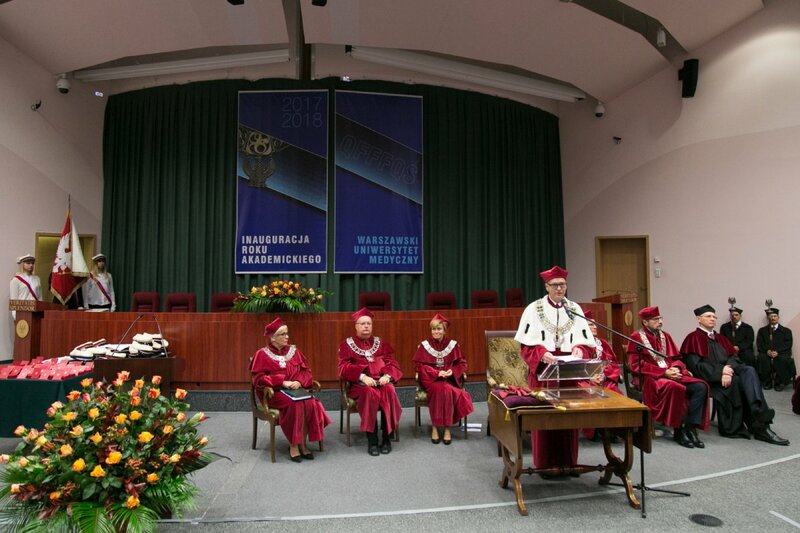 Also present were rectors and deputy rectors of local universities such as Prof. Marcin Pałys, Rector of the University of Warsaw and Prof. Marek Rocki, Polish Senator and Rector of the Warsaw School of Economics; representatives of the Polish Academy of Science (PAN) and PAN research institutes including Prof. Witold Rużyłło, Dean of the 5th Faculty of Medical Research at PAN and MUW honoris causa PhD recipient. 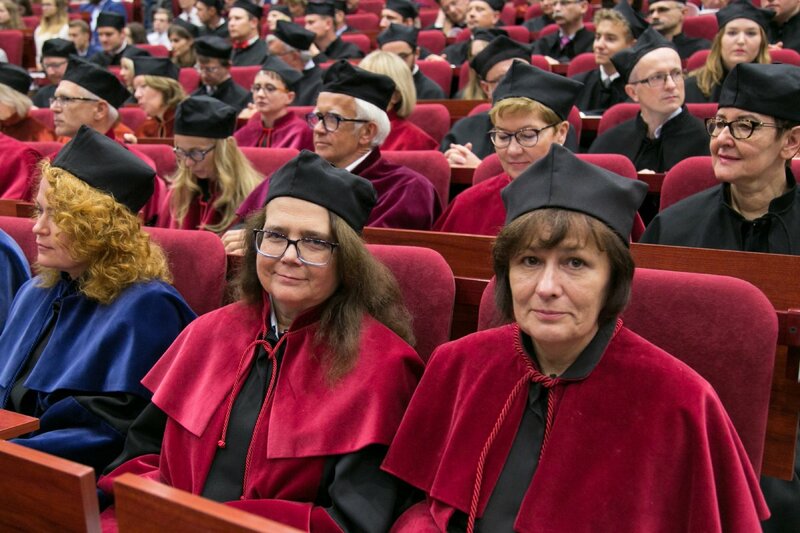 Our guests also included representatives of the scientific community, medical associations, research centers, clinical hospital directors, representatives of the City Council of Warsaw and Mazovian Voivodship. 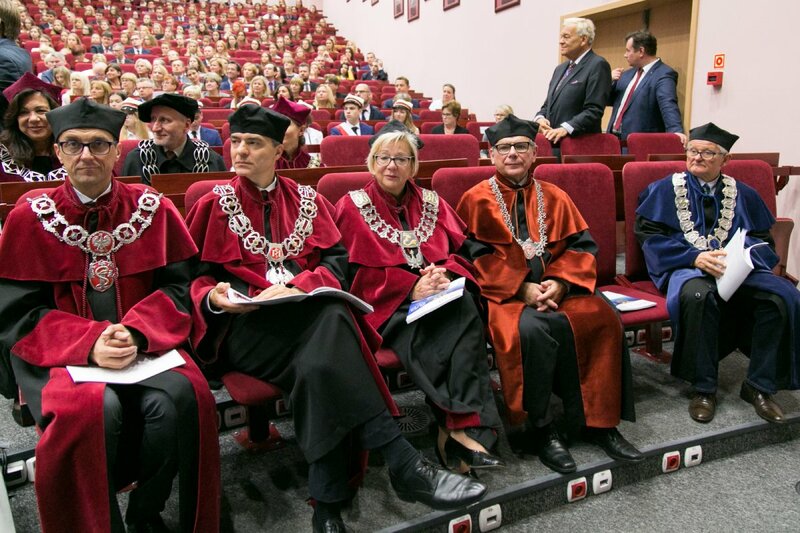 Former rectors of our Alma Mater also attended the inaugural ceremony: Prof. Tadeusz Tołłoczko, Prof. Andrzej Górski and prof. Leszek Pączek, who delivered the inaugural lecture. 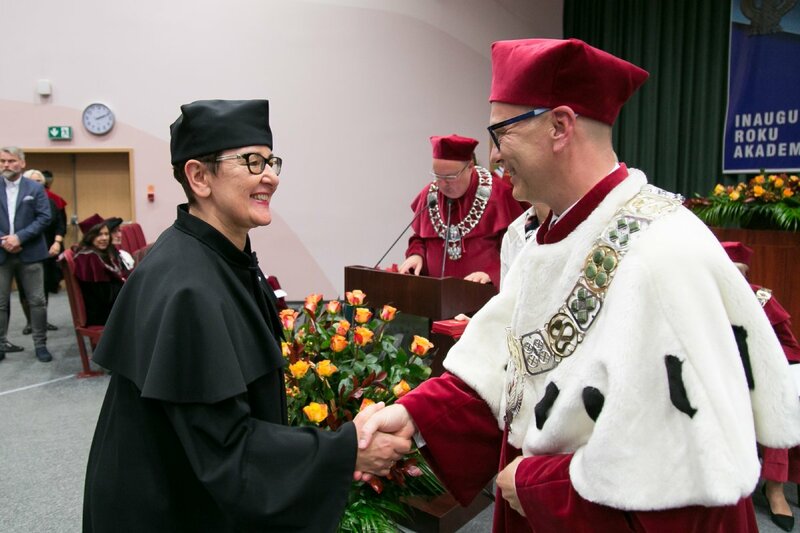 The Rector extended a special warm welcome to senior academic staff: Prof. Bibiana Mossakowska, Prof. Ryszard Aleksandrowicz, Prof. Longin Marianowski, Prof. Jan Pachecka, Prof. Janusz Komender and Prof. Jerzy Kawiak. 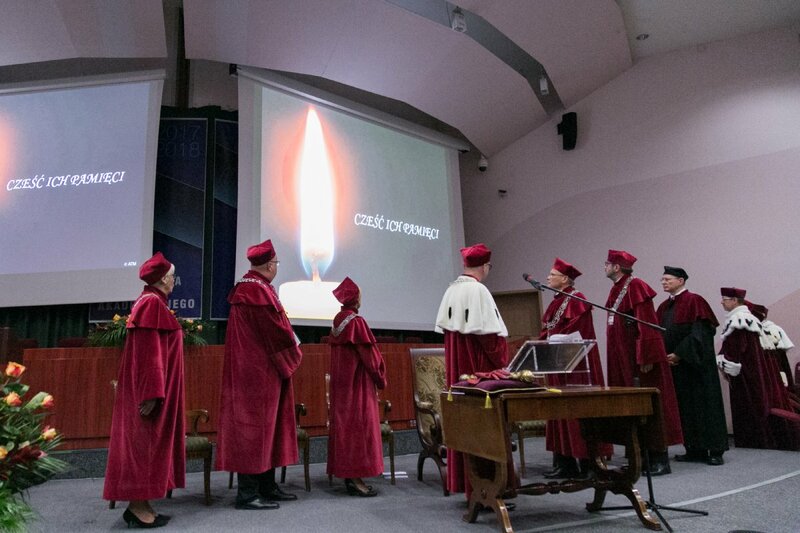 After his welcoming remarks, Prof. Mirosław Wielgoś, Rector of MUW asked the assembled academic community and guests to remember and honor with a minute of silence all the Staff who died during the last academic year. 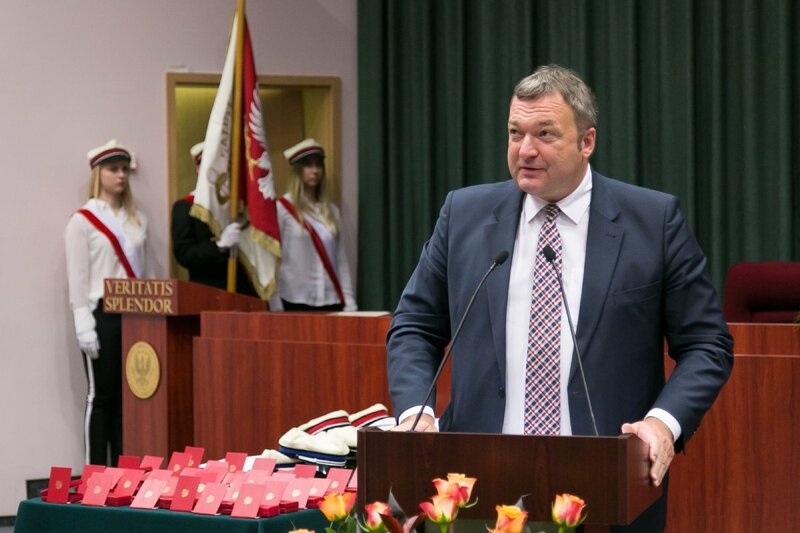 Next, prof. Mirosław Wielgoś, Rector of WUM, delivered his inaugural speech. 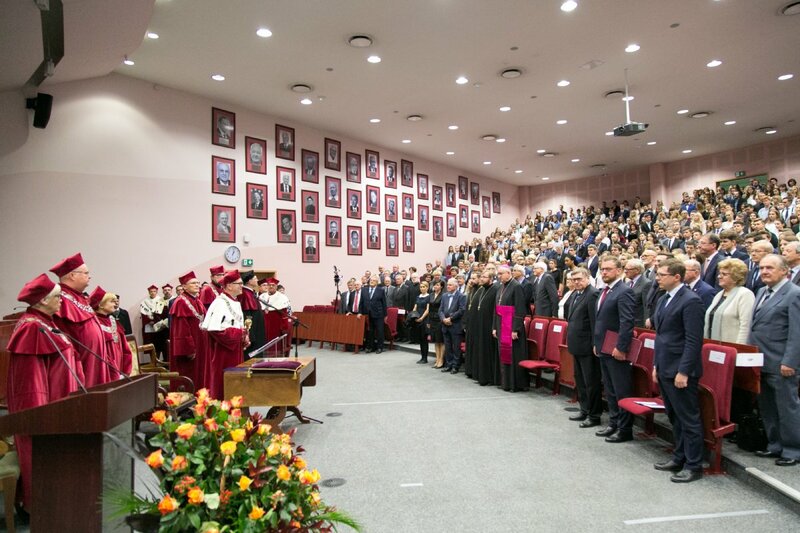 Other honorable guests also took the floor: Minister Marek Tombarkiewicz, Under Secretary of State at the Ministry of Health who attended the inauguration on behalf of the Minister of Health, Dr. Konstanty Radziwiłł; Prof. Łukasz Szumowski, Under Secretary of State at the Ministry of Science and Higher Education, who presented His Magnificence with a letter from the Honorable Jarosław Gowin, Minister of Science and Higher Education. 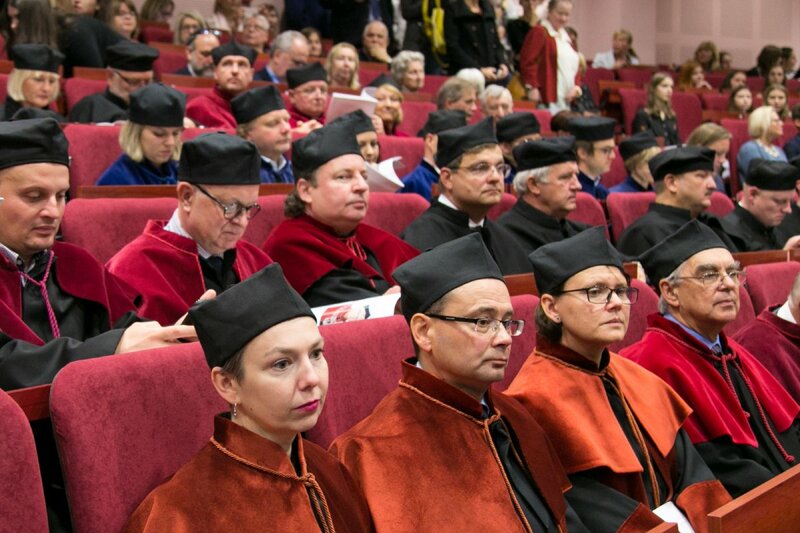 The Rector noted that the academic community of WUM received numerous congratulatory letters on the occasion of the inauguration of the new academic year 2017-2018. 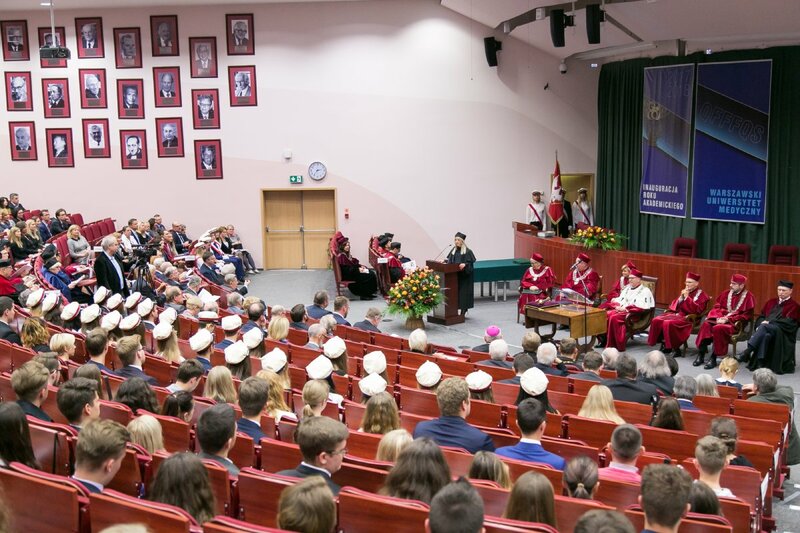 It is a tradition to recognize excellence amongst MUW Staff during the inauguration ceremony with awards and decorations of the Polish Government and Ministry of Health. 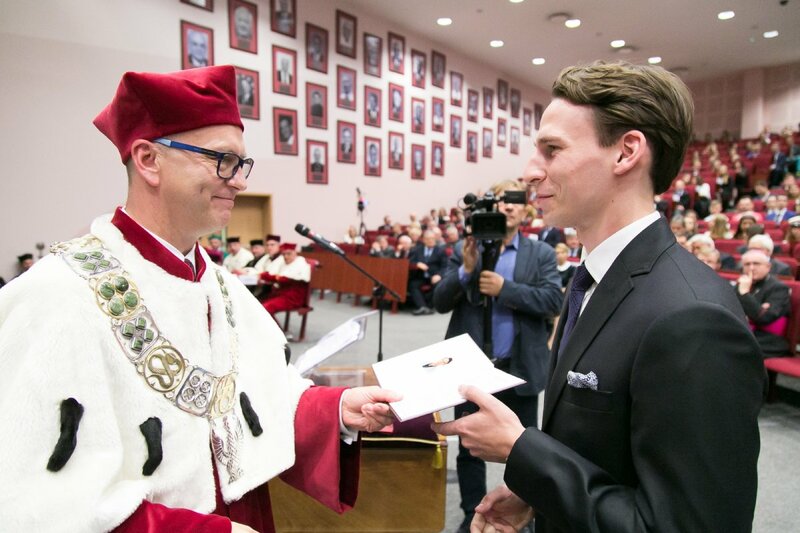 The pinning ceremony was conducted by Prof. Krzysztof J. Filipiak, Deputy Rector for International Relations, Promotion and Development. 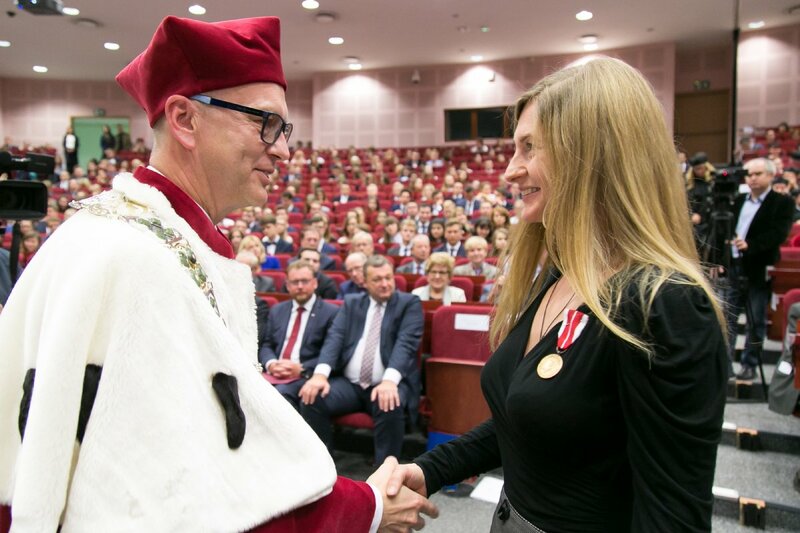 Some 40 University Staff were awarded medals of the Commission of National Education for their exceptional service to education. 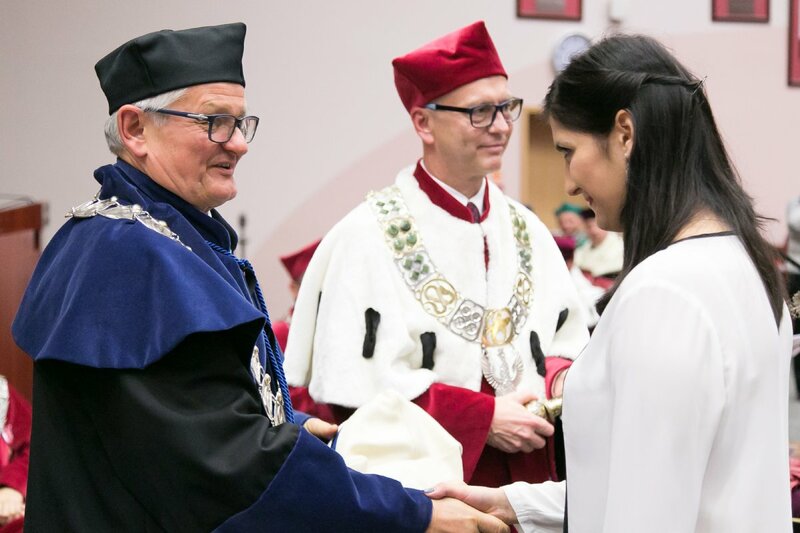 These nominations were supported by His Magnificence Prof. Mirosław Wielgoś and approved by the Minister of National Education. 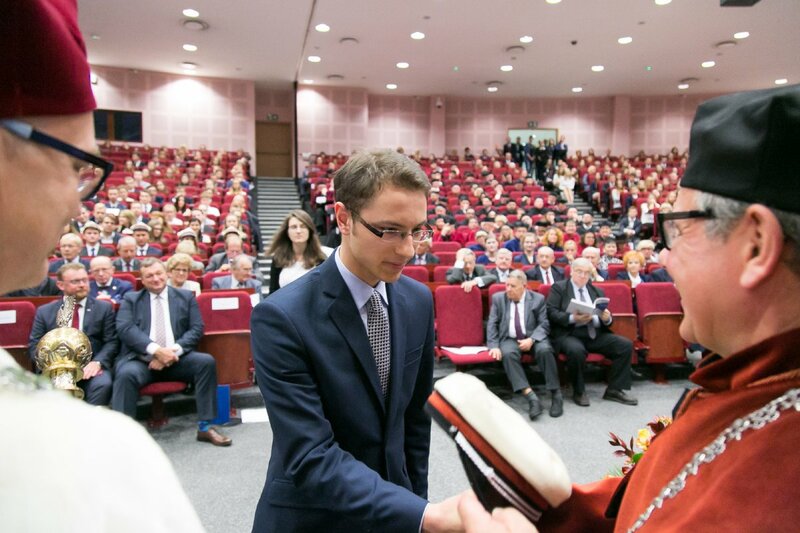 The awards ceremony of the Ministry of Health followed. 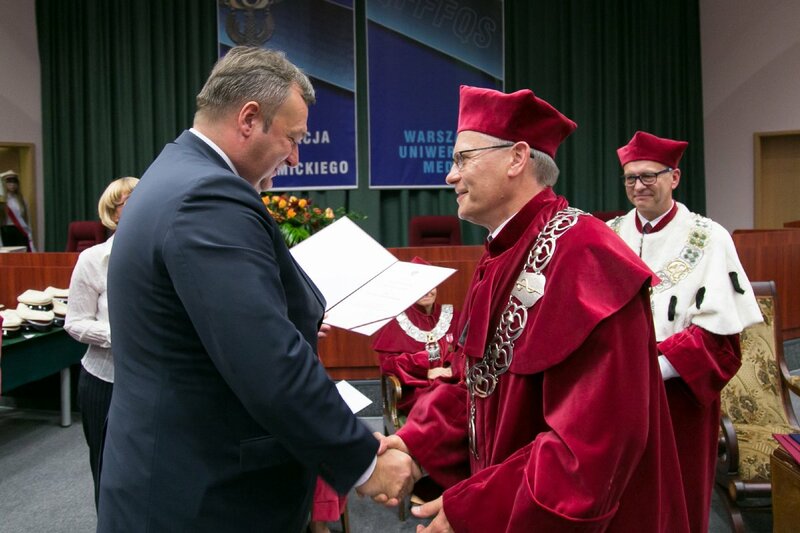 Prof. Krzysztof J. Filipiak announced that dr hab. 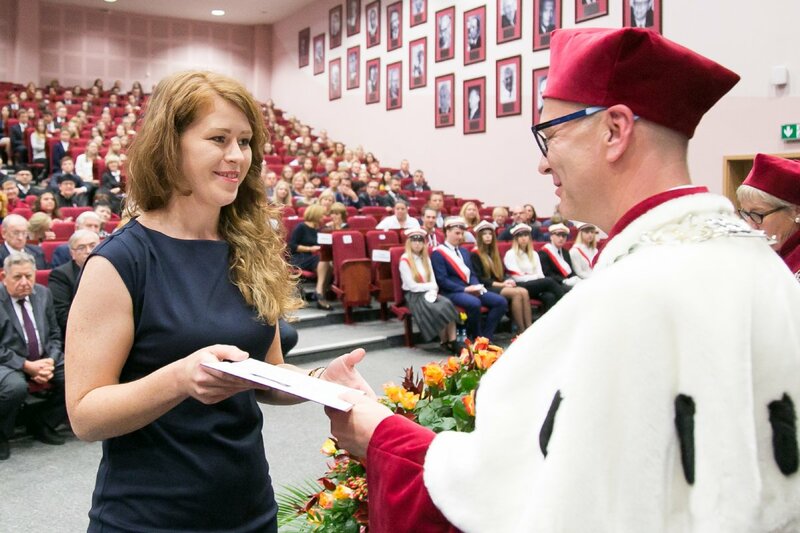 Ewa Olędzka (Department of Biomaterials Chemistry) received the independent research award. 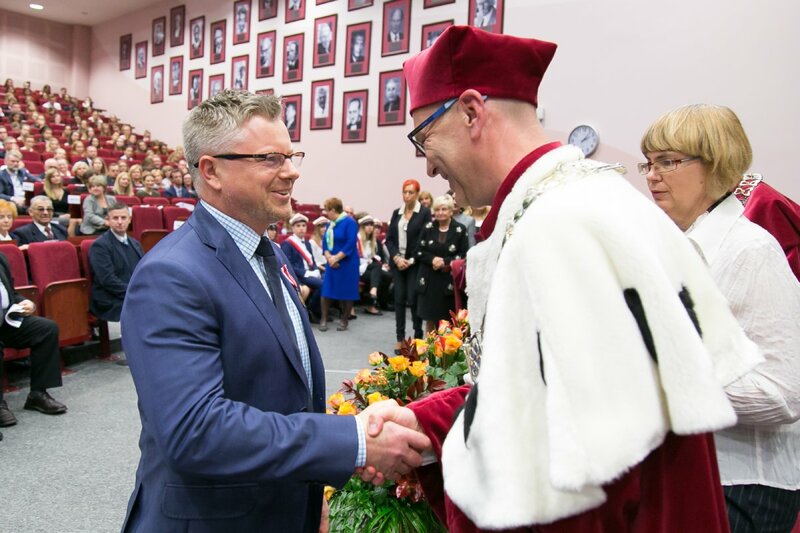 Prof. Andrzej Deptała (Department of Preventive Oncology) received the teaching award for his contribution to the article „Oncology and family doctors” used in teaching specializations. 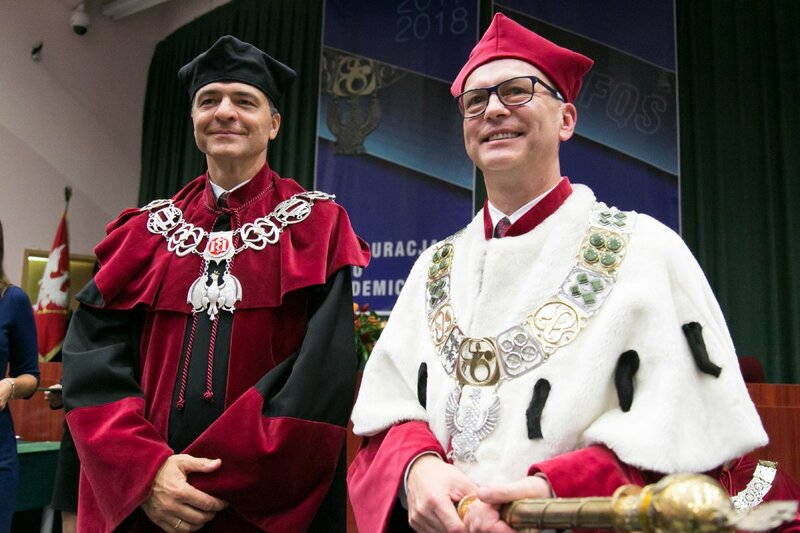 Professors Wojciech Braksator (Department of Sports Cardiology and Non-invasive Cardiac Diagnostics) and Artur Mamcarz (III Internal Diseases and Cardiology Clinic) received the collective teaching award for co-writing and co-editing a monograph on “Sports Cardiology in Clinical Practice” used in teaching specializations. 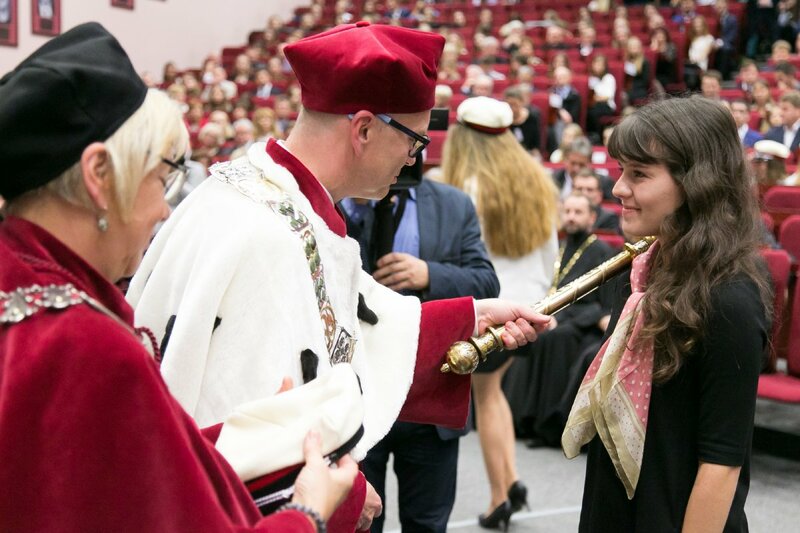 After the awards ceremony, prof. Barbara Górnicka, Deputy Rector for Student Affairs and Education conducted the matriculation ceremony. 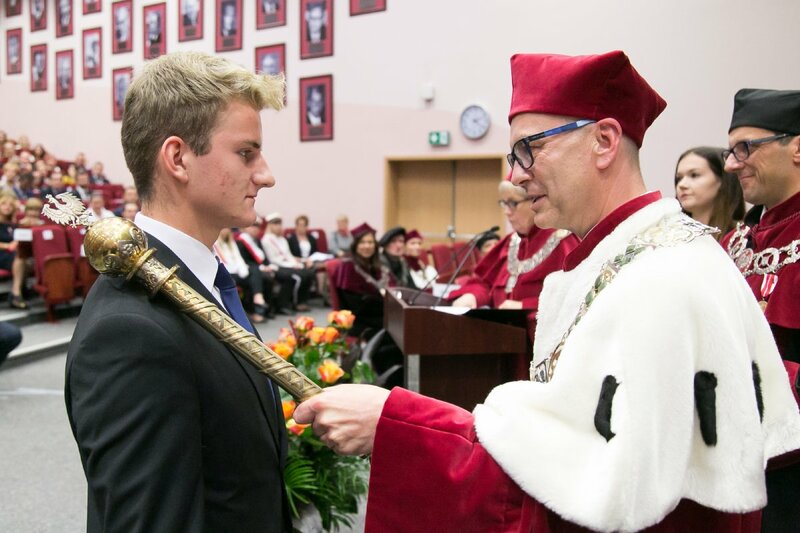 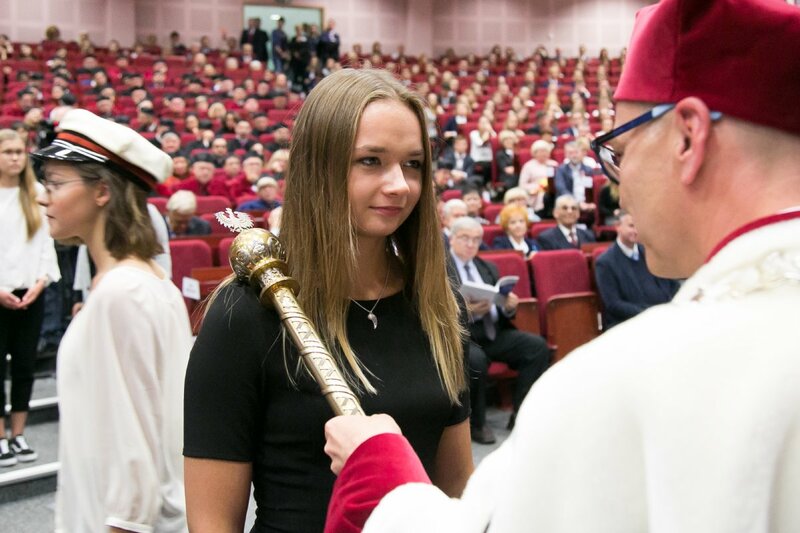 The incoming students took the matriculation oath and then His Magnificence Prof. Mirosław Wielgoś conferred matriculation on 30 selected students who had the best entrance marks. 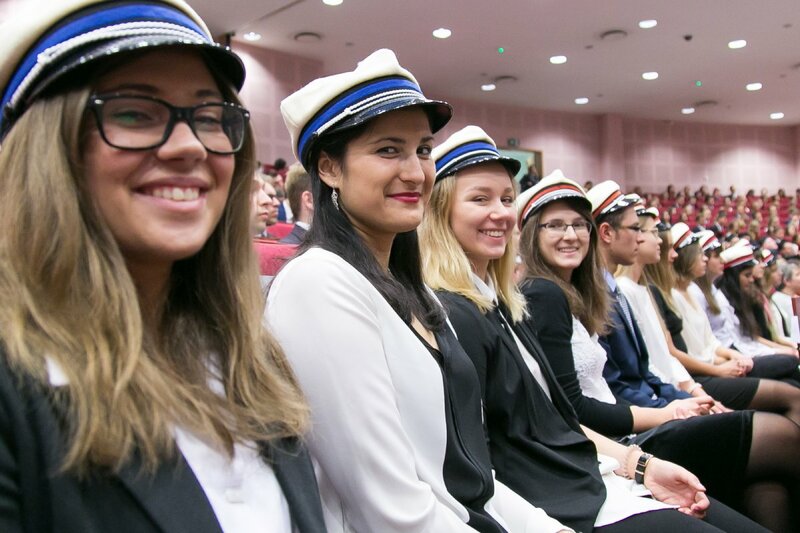 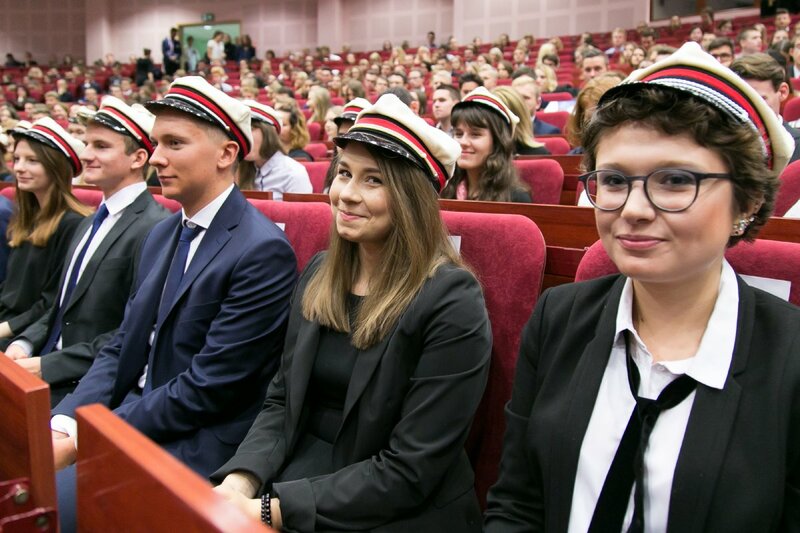 Then the Rector and respective Deans presented these students with a traditional Medical University of Warsaw student cap. 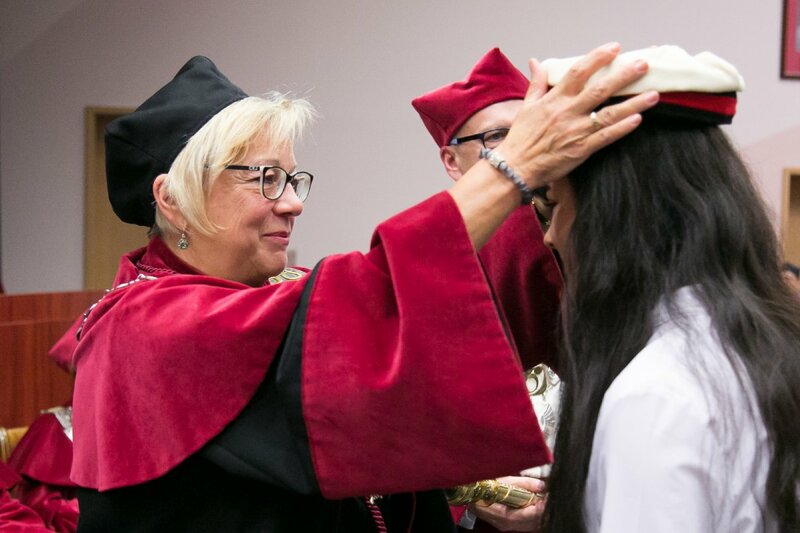 Doctoral students who began their third-cycle degree program this academic year also took the matriculation oath. 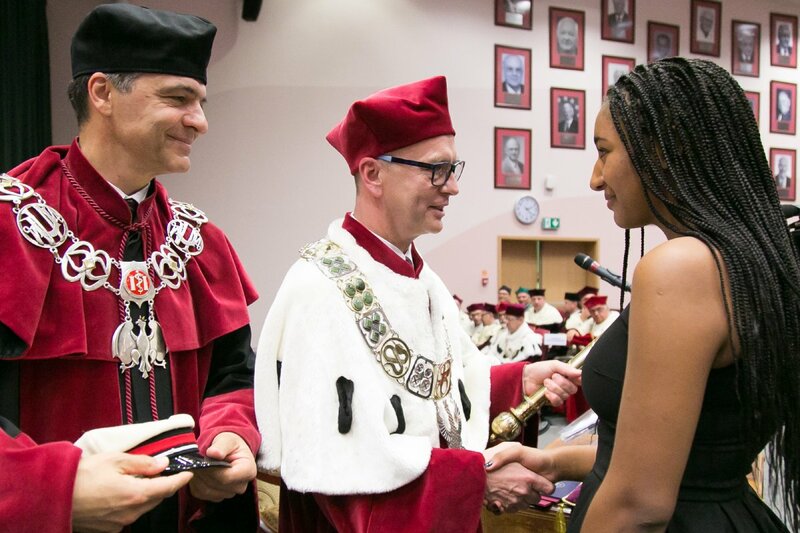 The Rector then conferred matriculation on 6 incoming doctoral students. 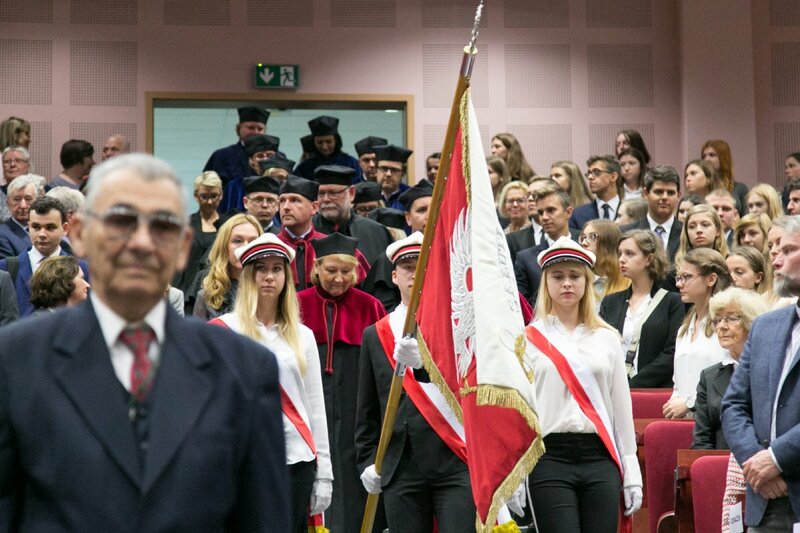 Following this important ceremony, the MUW choir, directed by Mr. Daniel Synowiec, sang the University’s hymn. 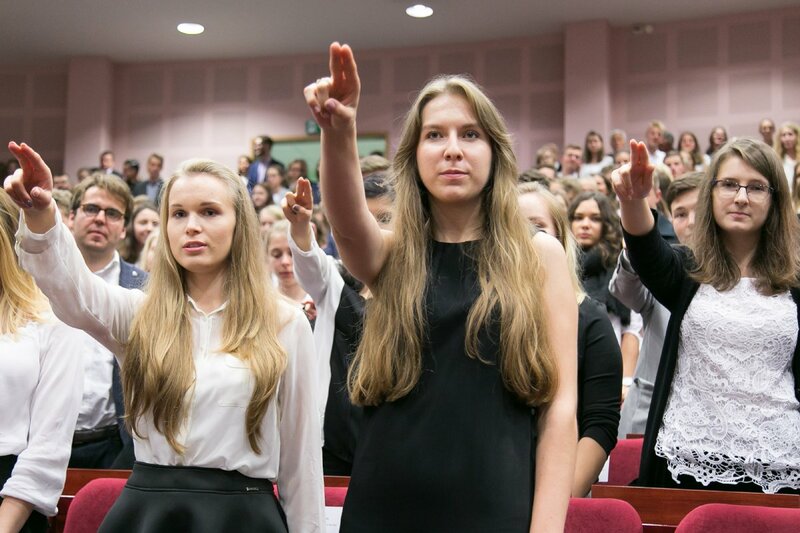 Then representatives of MUW Student Governments welcomed the new students. 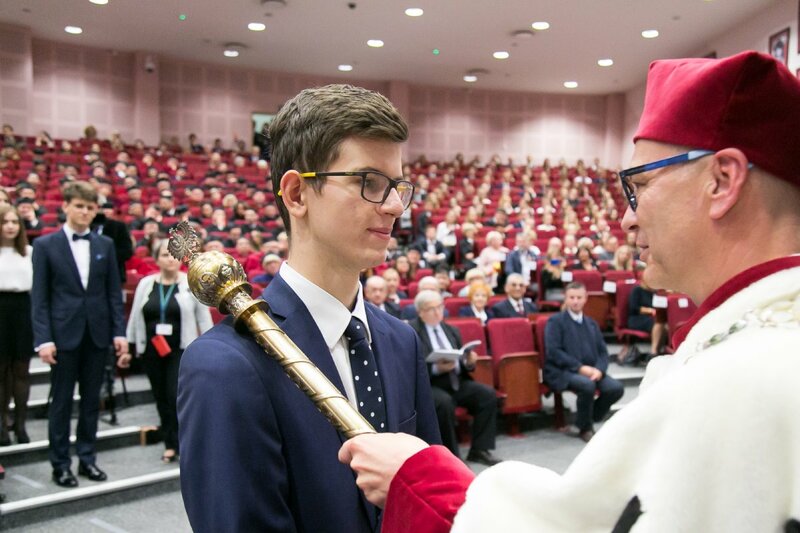 The official start of the new academic year 2017-2018 began with His Magnificence saying the words “Quod Felix, Faustum Fortunatumque sit!” and calling to order three times with the rector’s mace. 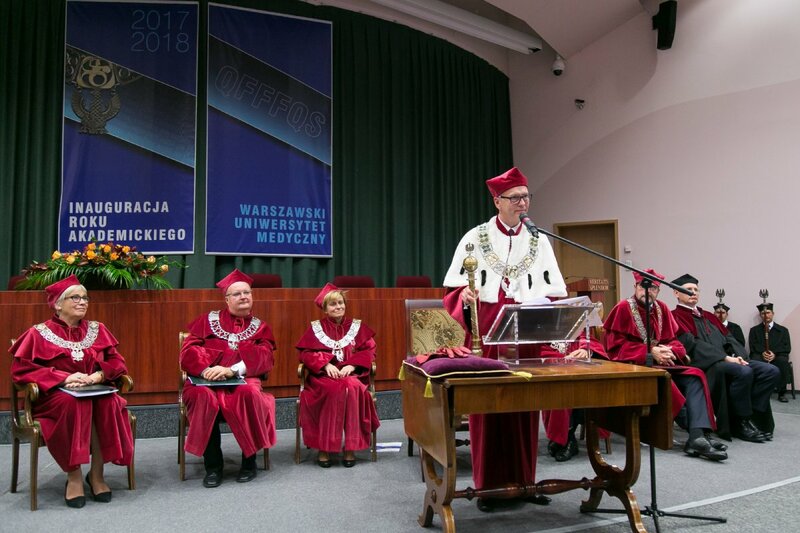 The Rector then invited prof. Leszek Pączek, Rector of MUW, 2005-2008 and professor at the Transplant Immunology and Internal Medicine Clinic to give the inaugural lecture entitled “University of Medicine – quo vadis?”. 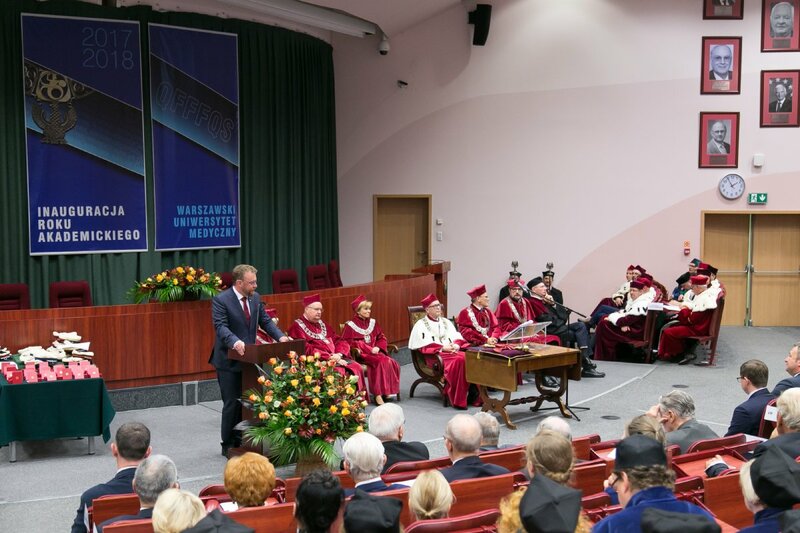 The inauguration ceremony ended with Prof. Mirosław Wielgoś wishing his mom, who was present in the audience, happy birthday. 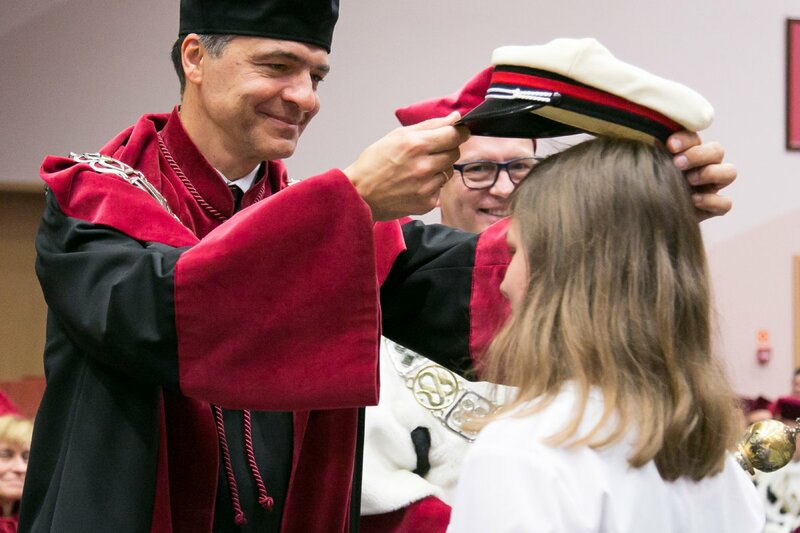 Nobody minded the Rector breaking ceremonial protocol for such an important moment. 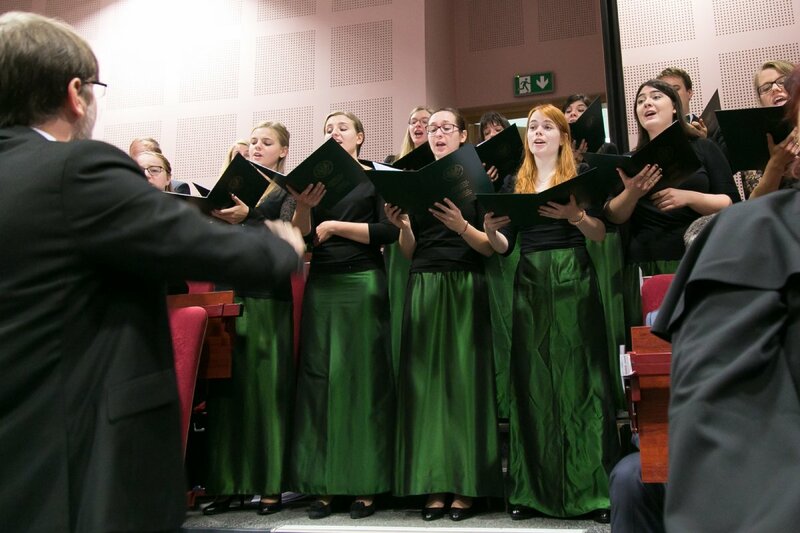 Instead, the MUW choir, academic community and guests burst into singing ‘Sto lat!’.